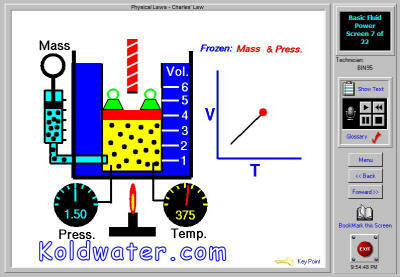 Fluid Mechanics Tutorial using pneumatics and hydraulic interactive training simulation software. 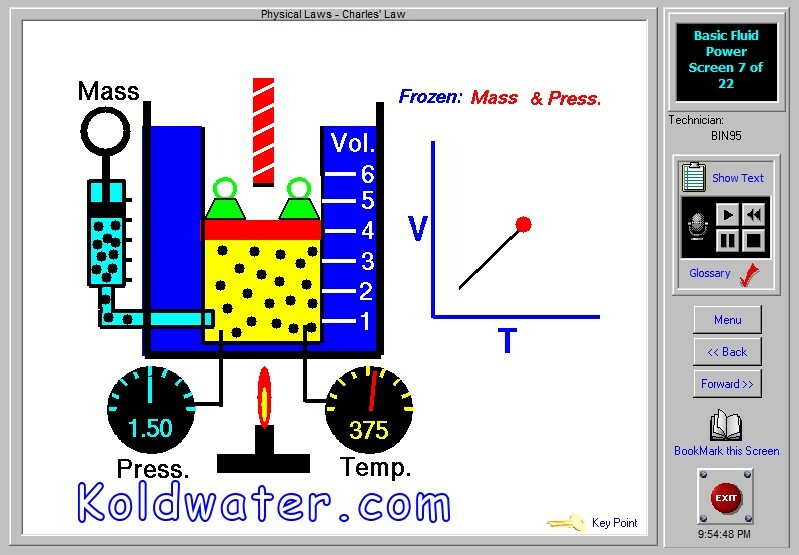 This Fluid Mechanics Tutorial uses pneumatics and hydraulic training simulation software to instruct the user in basic fluid power engineering principles and understanding hydraulics schematics symbols. 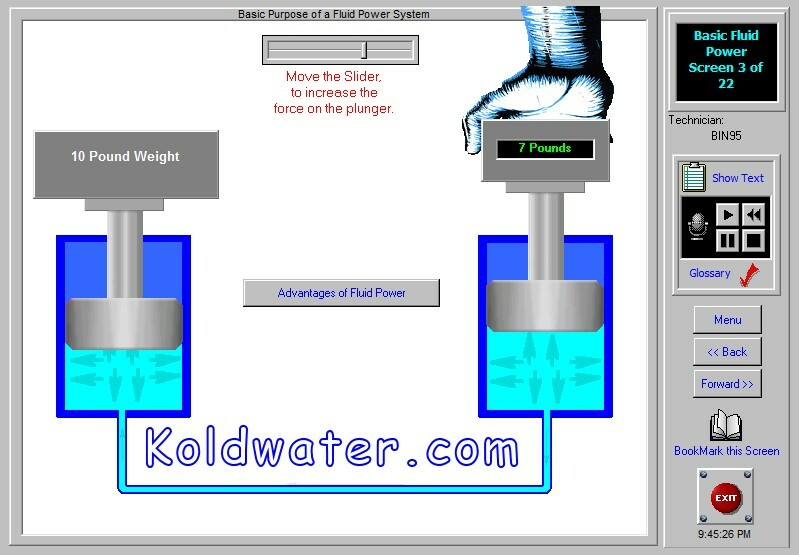 The Fluid Power Trainer is a interactive training software design to instruct the user in basic fluid power principles. 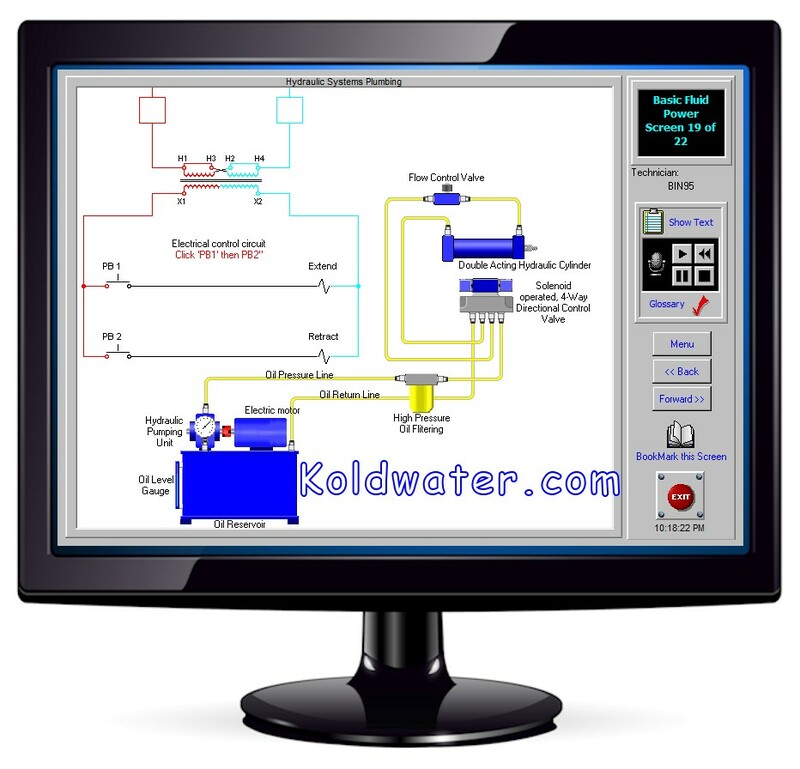 Learn how to read schematics, understand how pneumatic and hydraulic systems operate in order to troubleshoot hydraulics and pneumatics systems effectively. 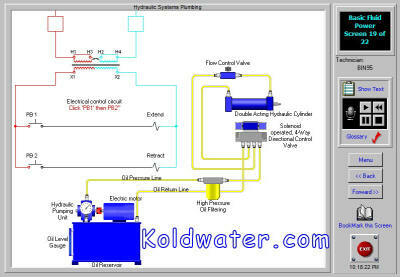 Learn so much more than just how hydraulics works. 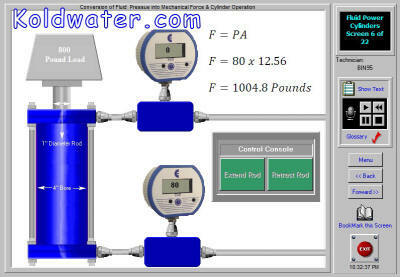 This new Fluid Power Training (FPTrainer) Software includes the following units of instruction. 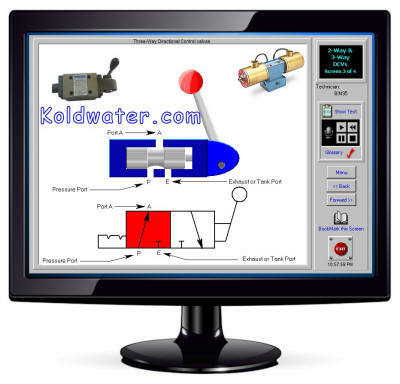 The narrated, animated interactive fluid mechanics tutorials and pneumatics hydraulic simulation software make the subject mater easier to understand and remember. 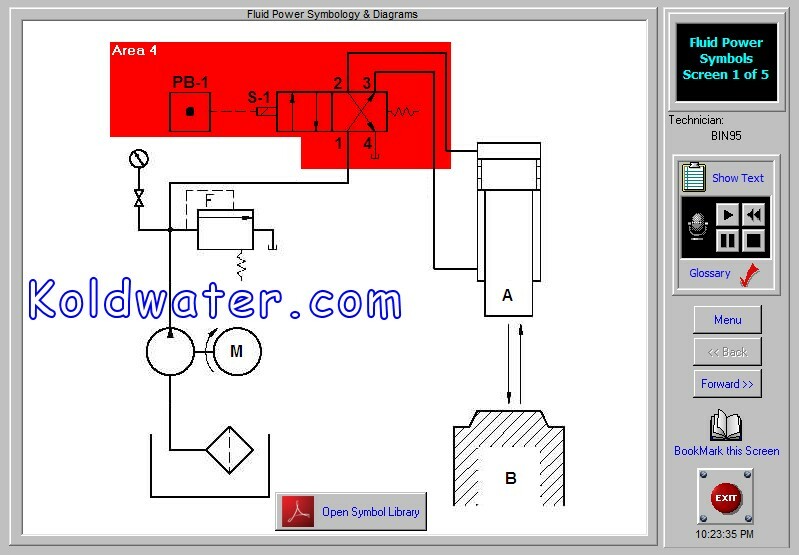 Hydraulic schematic symbols covered extensively with both interactive exercises that relate pneumatic and hydraulic schematic symbols to the real world and a PDF symbols library. 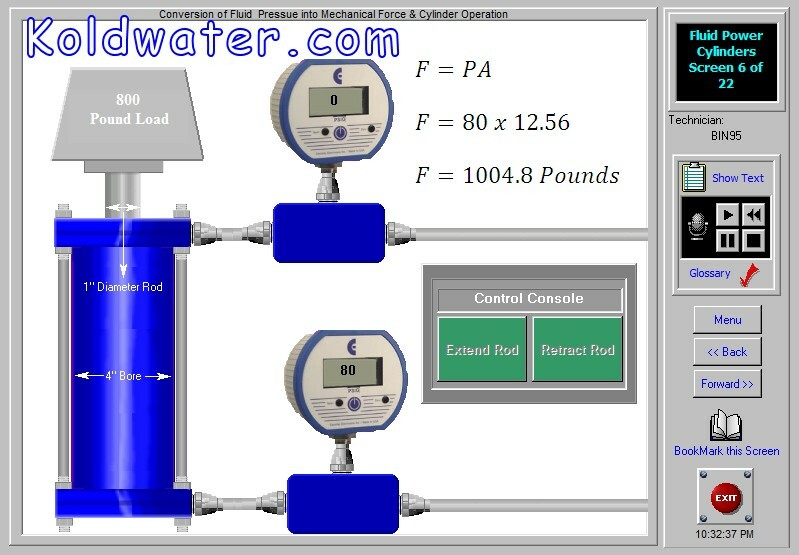 How hydraulic cylinders work explained with live action interactive animation next to formulas and values so you can study the relationship between fluid mechanics fundamental principles and real world applications. Interactive pneumatic and hydraulic simulation are used to explain the fluid mechanics fundamentals and applications. 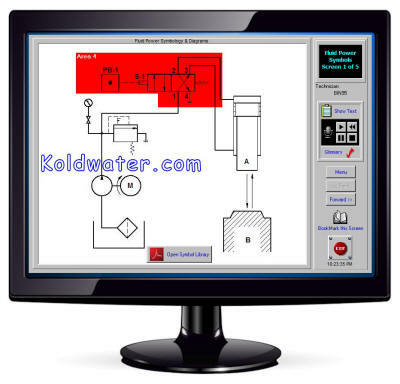 Pneumatic and hydraulic simulation software is use throughout the fluid power training course. 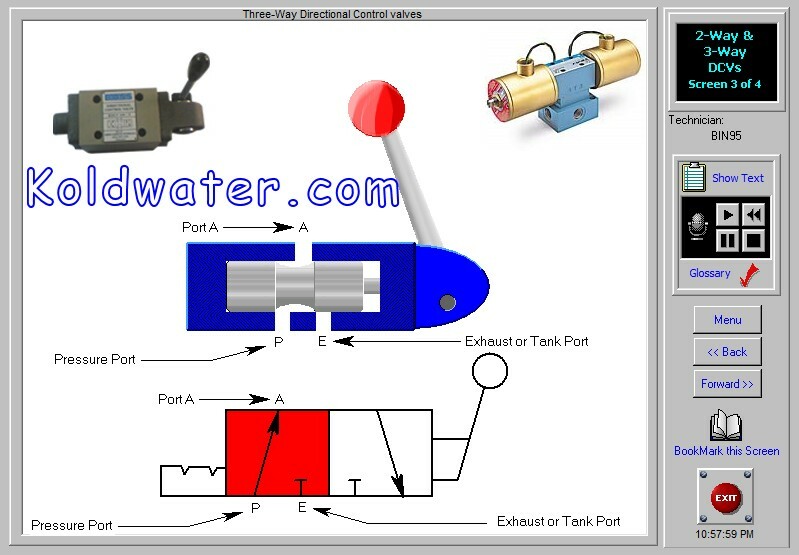 Study the flow change after you switch a 3 way directional control valve for example. 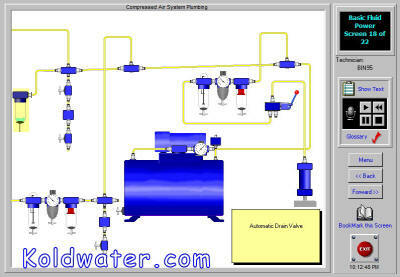 Study and interact with complete pneumatic and hydraulic system diagrams. 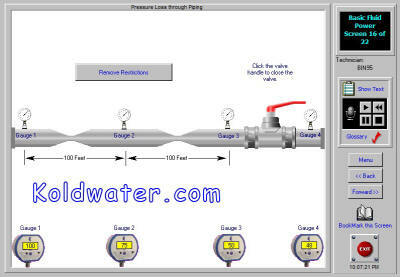 At some points you will be required to drag and drop components or schematic symbols to complete the pneumatic and hydraulic schematic diagrams. Pneumatic and hydraulic basics are clarified with animated and narrated diagrams, next to schematic symbol and a picture of real hydraulic and pneumatic component. Bringing it all together for you. 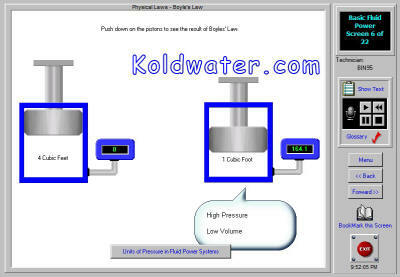 Basic fluid power formulas explained and demonstrated with hydraulic and pneumatic simulator in an interactive way you can can experience all vantage points and values. A task that would otherwise be difficult to visualize just listening to a lecture or reading a book. 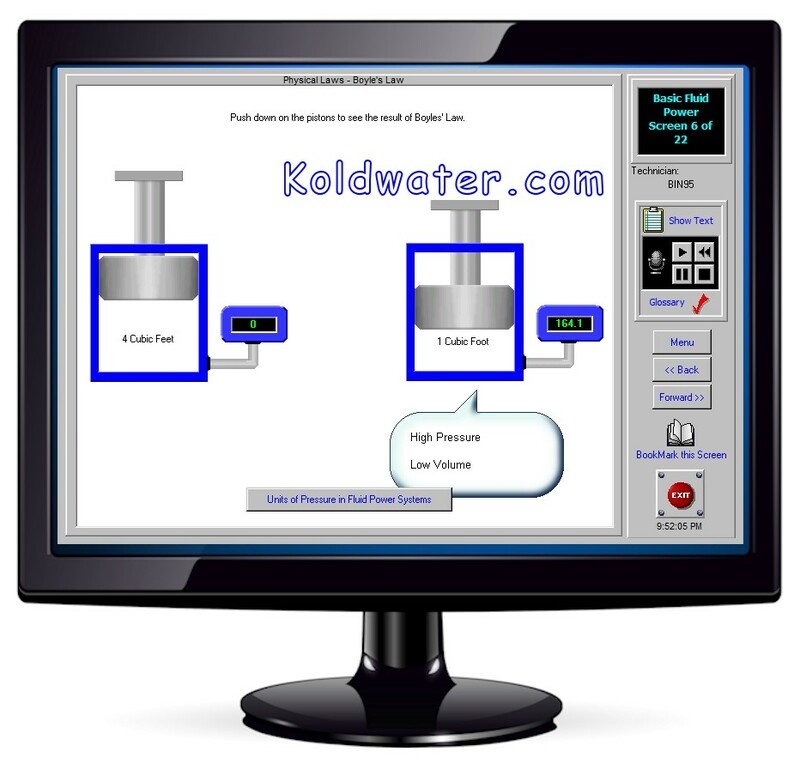 Also be sure to see our free hydraulics and pneumatics online training (FPTrainer) demo. 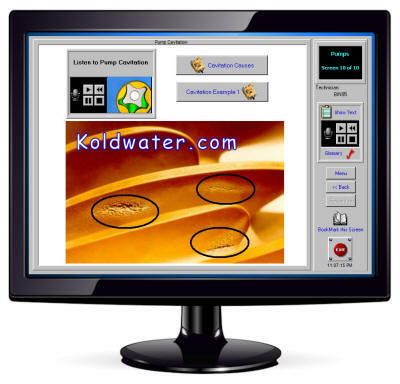 Google Chrome browser blocks Java, so use another browser for free online HMI training demo. 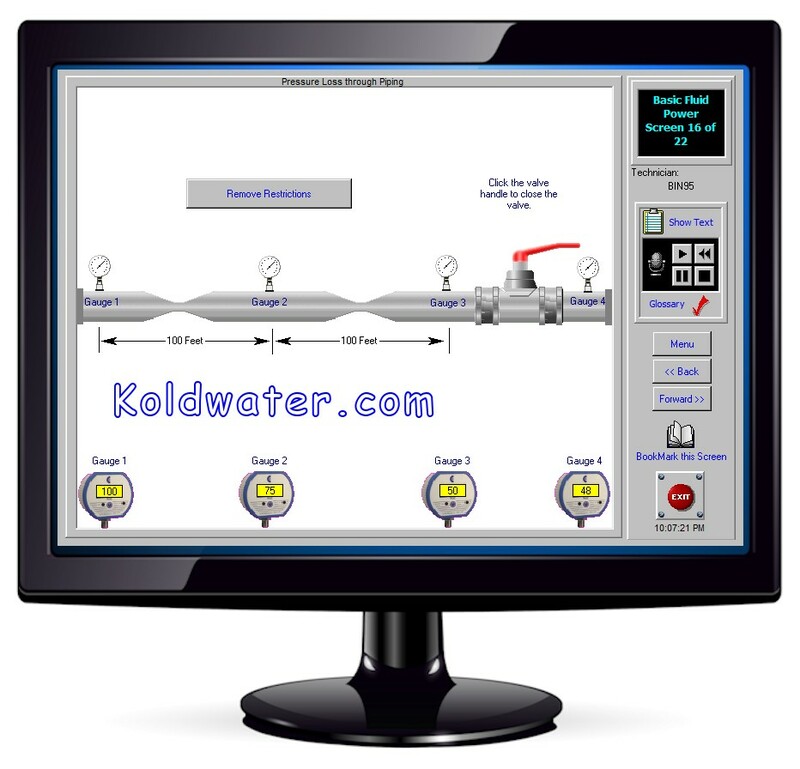 As with all Koldwater maintenance training software, it ends with a troubleshooting section. 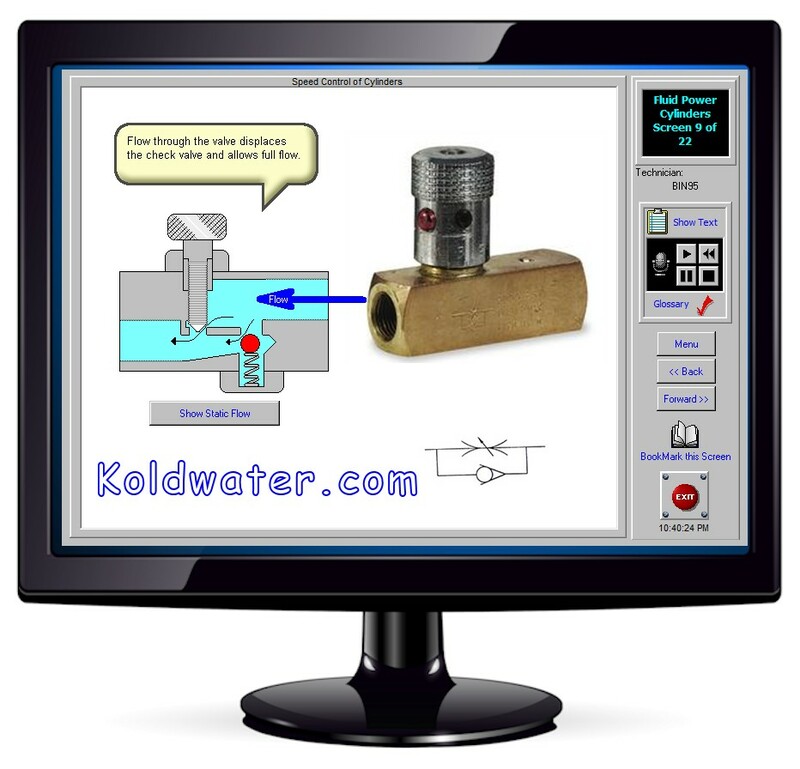 Common problems and their solution are taught like in this screen shot of the hydraulics troubleshooting cavitation guide. Which also plays the sound you will want to listen for out in the plant.